A complicated week at work meant I couldn't ride until Friday. That, added to my crash in last week, meaning only 45 km ride on Sunday, meant my TSS sank from 108 to 96 in just a week. I should not complain though. Had a hard ride on Friday and an easy one on Saturday and today I definitively felt really fresh. Cutmill is supposed to be a challenging course so my objective for today was to hang on and try to finish on the bunch. As I said driving there "I would be happy finishing in the bunch". I was expecting a hard first few laps. But it didn't happen. We were riding fast up the hill, but nothing mad. Half way through the race I was trying to put the bottle back in the bottle cage and somehow it slippered off my fingers. "F**** stupid" shouted a rider. Half way through the race and I only had a quarter of a bottle of water. I couldn't agree more with him. When we crossed the line and I saw 5 to go I got that weird feeling of this can't be possible, it seems we have been riding for ages!!! With three to go I was drinking small sips to make the most out of the water I had. Got a get a gel and had it in my mouth when I had to get the handle bar with two hands, somehow I managed to drop it. I took a laugh of myself, but only because I had another gel!!!! With two to go I was "comfortably" in the top five climbing the hill. I was happy because I figured I was going to be able to finish on the bunch. At the bell I was again well positioned in the bunch, but looking at the numbers now I see I was hitting the max HR of the race so far. At the final climb I positioned myself very well, I was even thinking about placing. 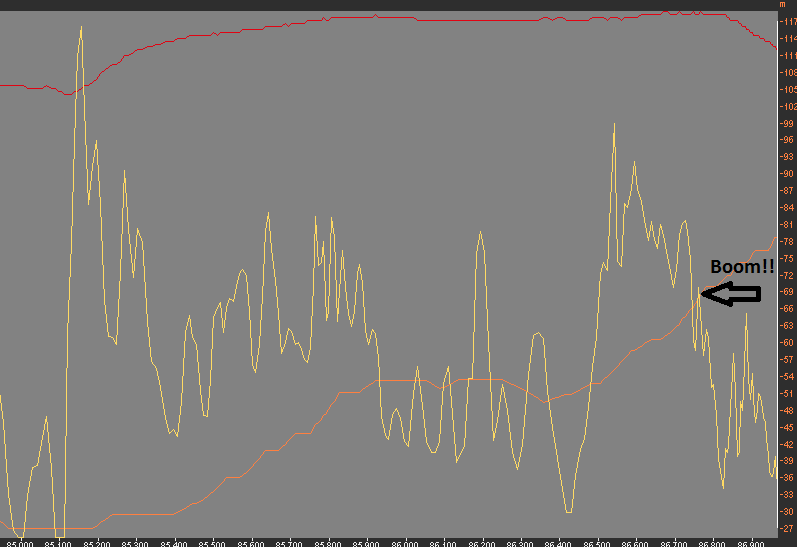 Kept my position in the flat part of the climb and when the last bit of climb came I tried to keep up with the pace. I managed for about 250m, a shame there were another 250m to the finish line!!! 250m that I rode full of disappointment. What a crap rider was the nicest thought I was having. But hey! as soon as I crossed the line and had a second to think I realized that finishing in the bunch was what I was happy with before the race. I know, I'm to easy on myself, but that thought made me forget my anger. And here I am, thinking about next race.